Apparently disturbed by the increasing spate of extrajudicial killings of innocent Nigerians by men of the Nigerian Police Force (NPF) particularly in Lagos State, the Inspector General of Police, IGP Mohammed Adamu today visited the Lagos State Police command where he took time to address the officers and men of the command over the disturbing development. It will be recalled that from January to April this year, Lagos State has recorded four incidences of misuse of firearms by Police officers which had resulted in extrajudicial killings of young citizens of this country and injuries to others. More worrisome is that two of these incidents occurred within the last two weeks. Addressing the officers and men of the command at the Police College, Ikeja earlier today, stated that it was with a deep sense of professional concern that he visited the command to address the personal of the Force in the state adding that this had become expedient in view of the recent trend of unprofessional conducts by some personnel who in utter disregard to their professional training, international protocols, constitutional dictates, Force policies and ethical standards had continued to drag the Force into acts that pitch it against the citizens it was engaged, paid and statutorily obligated to serve and protect. Adamu said that aside negating their professional calling, extrajudicial acts of any description or level by any Police personnel was an unacceptable anomaly that creates distrust and disdain between the citizens and their police and widened the trust gap between them saying that even most concerning was that the fatalities that resulted from such indiscretional deployment of lethal force left behind trails of unbearable eternal pains and sorrow within the families, friends and associate of the victim. Speaking further, he said, “Our visit to Lagos State today is therefore designed to make a number of statements. First, is condole the families of victims of the recent incidents of misuse of firearms or other forms of abuse of power by identified police personel in the state and to share in their grief. Second is to reassure citizens that as an institution, the Nigeria Police Force does not and will never condone any form of abuse of power, acts resulting in misuse of firearms, overzealousness and sundry unprofessional conducts by any member of the Police regardless of his or her rank or position. We remain a disciplined organization that strives to advance its covenant with the citizens in relation to protecting their lives and property and safeguarding them against any forms of threat. We shall continue to provide the requisite leadership that will uphold and advance these sacred obligations and we shall do such in the most transparent, responsible, responsive and accountable manner. “Thirdly, our visit is to reinforce the extant Accountability Policy which holds any officer professionally and criminally liable for the consequences of their actions, particularly, if such misuse of power resulted into the death, injury or indignity of citizens. Towards this end, I am sounding a note of warning loud and clear that any police personnel that insists on being incorrigible by engaging in abuse of his or her power or misuses his weapons with fatal outcomes and in utter disregard to the statutory provisions will be arrested, investigated through our internal disciplinary machinery and if found culpable, shall be dismissed from service. In addition, such personnel will be charged to court for murder or sundry offences depending on his or her level of criminal liability in the instance. “Furthermore, the line supervisors of such officer including the Area Commander, Divisional Police Officer or Sectional head shall be held vicariously liable for lacking supervision and shall e similarly sanctioned. This is the Force Policy and no one should be in doubt as to our strong will to enforce it. It is within this context that all personnel that were involved in the recent incidents were arrested and are being made to answer for their misconducts”. 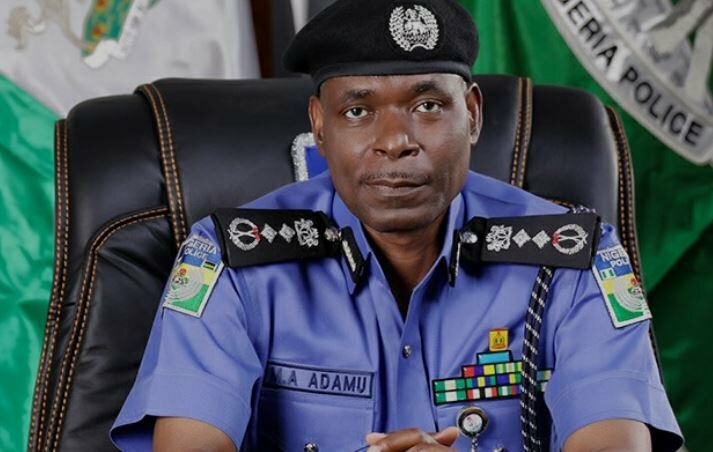 The IGP observed that the nation and indeed the police under the current leadership could no longer tolerate abuses associated with the police either in Lagos or any other part of the country adding that he had already ordered that a signal be circulated to all Police commands and formations warning of dire consequences against any personnel that by their incorrigible acts deviated from accepted police culture and values. “The choice now is for each officer to either resolve to perform his or her duties within extant rules, laws and policies or be prepared to be shown the way out of the system”, he added. He assured that in the coming days, more administrative actions targeted at giving a new orientation to all police personnel and rejigging the Lagos State Police command would be undertaken noting that this may involve personnel re-organization as well as tailor made training and capacity development programmes that were directed at re-orientating the personnel to human rights and professional conducts which shall include but not limited weapon handling and laws and policies regulating use of force. He continued, “In the long term, rather than the use of firearms, we shall henceforth use less lethal technologies and weapon system as electro-muscular disruption technology which is known as Taser or Stun Guns by Police for routine patrols, arrest duties and other low-risk operations as a strategic approach towards reducing incidents of fatalities associated with misapplication of lethal weapons by the police as first line of response to any threat”. Earlier in his welcome speech, the Commissioner of Police, Lagos State, CP Zubairu Muazu regretted that the command would have loved to welcome the IGP on his first official visit to the command on a better note than the one that brought him adding that it was sad and unfortunate that the IGP was visiting Lagos Stare Police command due to the incessant, recurrence of the demeanors of the officers of the command. He however informed the IGP that the command was blessed with very intelligent and hardworking officers that have been working tirelessly day in, day out to ensure that crime is reduced to the barest minimum in the state. “I assure you that officers of the command are committed more than ever before to ensure that Lagos State is very safe”, he stated.